The Founder scientists have over 70 years of complementary expertise between them in glycobiology, heparin chemistry, sugar analysis and purification, protein/carbohydrate interactions and screening. IntelliHep is developing a commercial management plan to exploit its proprietary technologies and licensed IP, with the aim of delivering novel drug leads via its own in-house drug discovery programs, and through strategic partnerships. 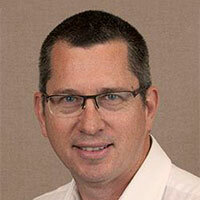 Prof. Turnbull is Chief Scientific Officer and a Founder of IntelliHep Ltd. He is an internationally-recognised expert in the field of heparan sulfates with over 30 years experience characterising HS structure, biology and protein interactions. 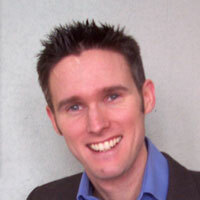 Prof. Turnbull is Chief Scientific Officer and a Founder of IntelliHep. He is an internationally-recognised expert in the field of heparan sulfates with over 30 years experience characterising HS structure, biology and protein interactions. In 1996 he was awarded a prestigious Senior Research Fellowship by the Medical Research Council and in 2003 he was appointed Professor and then the Johnston Chair of Biochemistry at Liverpool University. He is the founding Director of the Liverpool Centre for Glycobiology. His research has focussed on the structure-function relationships of heparan sulfate, especially in neurodegeneraton and cancer. His lab has also developed innovative strategies for studying heparan sulfate structure/function including sequencing techniques, semi-synthetic and synthetic saccharide libraries and saccharide microarrays. He has made many major contributions to development of this research field, has published over 120 scientific publications including 9 patents, and delivered over 90 invited lectures at international scientific meetings. His lab currently has held £15 million of competitive academic and industrial research grants over the past 25 years. He is a Fellow of the Royal Society of Chemistry and the Royal Society of Biology. Dr Edwin Yates is Director of Chemistry and a Founder of IntelliHep Ltd. He is a carbohydrate chemist with 25 years experience in research who currently works at the School of Biological Sciences, University of Liverpool. Dr Edwin Yates is Director of Chemistry and a Founder of IntelliHep Ltd. He is a carbohydrate chemist with 25 years experience in research who currently works at the School of Biological Sciences, University of Liverpool. He has worked with some of the leading authorities in Carbohydrate Chemistry including the world renowned synthetic chemist Prof Geert-Jan Boons (now in Athens, Georgia) and a 3-year spell with Prof Benito Casu in Milan, in a recognised world-leading laboratory specialising in heparin research. Ed has a particular interest in the relationship between the chemical structure of heparin saccharides and their biological activities. His work has included pioneering the use of library-based approaches to studying the biological activities of heparin and its derivatives and among his most notable contributions to the field are the invention of Maximum Diversity Libraries, which is the basis of IntelliHep’s proprietary technology. He has published numerous research papers, review articles, book chapters and patents. Ed is also a frequent contributor to, and speaker at, international conferences and symposia. Dr Andrew Powell is Director of Biology and a Founder of IntelliHep Ltd. Andy has over 20 years of research expertise in carbohydrate binding proteins, carbohydrate analysis, and carbohydrate-protein interactions. He began training in Glycobiology as an undergraduate at Oxford University 's internationally recognised Glycobiology Institute, under the direction of Professor Raymond Dwek. After a further year working in Oxford with a leading authority in carbohydrate binding proteins, Prof Kurt Drickamer, he moved into the field of heparin/heparan sulfate to work with Jerry Turnbull at Birmingham and later Liverpool Universities . 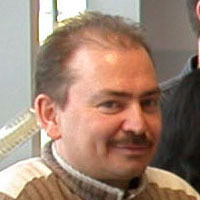 During this time, Andy developed a reputation as an expert in analysing HS-protein interactions and in exploiting innovative carbohydrate screening technology. Interim management support has been provided by MerseyBIO, Ithaka Life Sciences and 2BIO Ltd.
A Scientific Advisory Board is currently being recruited. More details to follow. IntelliHep is currently recruiting a CEO. If you are interested in opportunities to invest in IntelliHep, please contact us. IntelliHep is seeking collaborative partnerships to exploit our novel technologies and IP to advance the discovery and optimization of heparin-based glycans as novel drug leads in specific disease applications. Initial in-house commercialisation plans include lead compounds for Alzheimer’s disease and cancer. To access IntelliHep’s novel technologies and IP, and to discuss your potential applications, please contact us.